I like the style for some reason. The lineart seems really solid too. I likez it much. Anyway, they look awesome! Love DGM! I LOVE tha scan of them all! Ookii na Timcampy (Bigger Timcampy)+Allen=Cuteness! 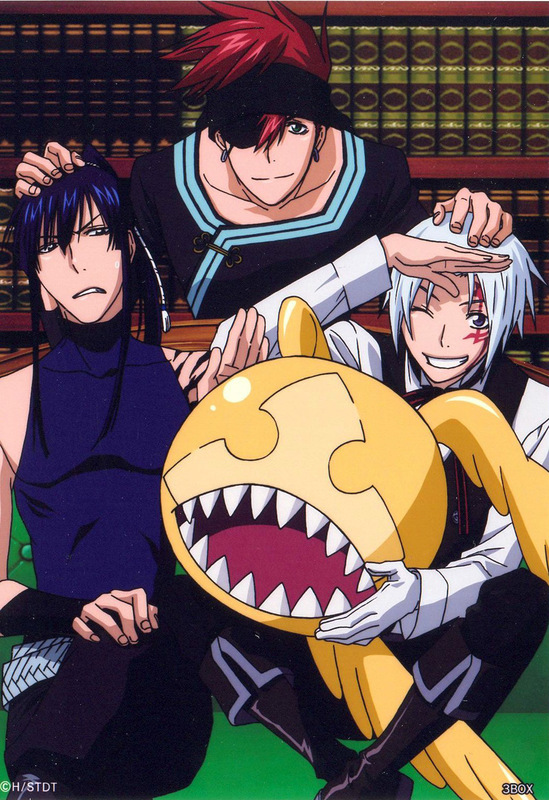 I want to marry Kanda~! I just love that BIG Timcanpy. Woah~ Timcampy's been hitting up the steroids, hasn't he? Wonderful group scan. Lavi brings everyone together, lol. Eek Allen is such a cutie pie!